The year 2016 closed on a tidal wave of tears, shed during such heart-shattering movies as Moonlight, Lion, Manchester By the Sea and Loving. It's a brand new year, but the waterworks aren't done yet. 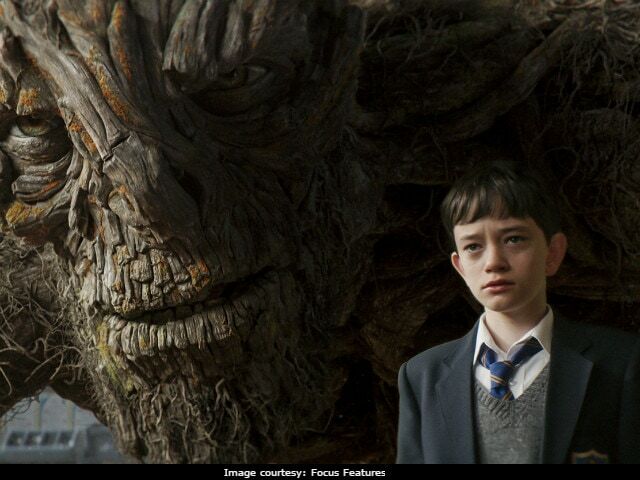 The British drama A Monster Calls has all the ingredients to produce yet another sob-fest, revolving as it does around a sensitive, bullied boy who must come to terms with his mother's cancer diagnosis. Twelve-year-old Conor (newcomer Lewis MacDougall) is particularly close with his mom (Felicity Jones). Both are free-spirited and artistically inclined, and Conor's dad is no longer in the picture, having fled the scene many years earlier for America. Mum, as she's called, takes a cocktail of drugs that has worked for a while, but that's starting to change. She looks more wan by the day, and getting out of bed has become a major undertaking. So Conor is forced to move in with his formidable grandmother (Sigourney Weaver, with a distractingly inconsistent British accent). Grandma lives in what looks like a museum, and instructs Conor not to touch a thing. What's a kid to do? Escape, of course. Conor uses his imagination to do it. He starts getting nightly visits from a yew tree that's visible from his bedroom window. At exactly 12:07 a.m., the squat thing springs to life, transforming into a giant beast with lava coursing through its veins, and marching to Conor's window to tell him stories. Voiced by Liam Neeson, the monster brings a winning mix of warmth and intimidation to a CGI character whose mode of communication is tough love. Directed by J.A. Bayona (The Impossible) and adapted by writer Patrick Ness from his 2011 novel, the whole endeavor runs a high risk of drowning in melodrama. But the movie avoids that pitfall, because nothing about the story or characters is easy or straightforward. Conor is certainly worthy of our pity, but he also can be a brat. He's not one of those insufferably precocious and angelic whippersnappers that exist only on the big screen. The character has some anger management issues - understandably. Meanwhile, the morals of the monster's stories aren't easy for a kid to parse. Aesop's fables they are not. In one tale, a witch turns out to be harmless, but she's exiled anyway. An evil prince becomes a king in another, enjoying a long, successful reign. Sometimes bad things happen to good people, the boy realizes. And sometimes unlikable people do good. That nuanced approach to storytelling seals the fate of the fantasy, which, with its PG-13 rating, is best suited for older kids and adults. When Conor's dad (Toby Kebbell) finally shows up, he explains that happily-ever-after isn't a reality for most people. "Most of us just get messily-ever-after," he explains. "And that's all right." The movie is memorable for its stunning and inventive imagery, especially when the tree-monster's tales spring to life as little works of art set in motion. Those tales provide a beautiful respite from the grim reality of Conor's life, both for him and for the audience. But that respite won't last forever, and our hero eventually will have to face his emotions and learn to channel them properly. Viewers don't have to be nearly so stoic: They can just let the tears flow. Three stars. Rated PG-13. At area theaters. Contains themes of suffering and death, bullying and scary images. 108 minutes.